Staycations are not only a great way to save money by eliminating the costs of plane tickets and lodging, but it’s also a great motivator to see the local sites, which we sometimes neglect as locals. I know one of my greatest regrets is not visiting more NYC attractions when I lived there. So this Spring Break I decided to do a staycation here in Georgia. 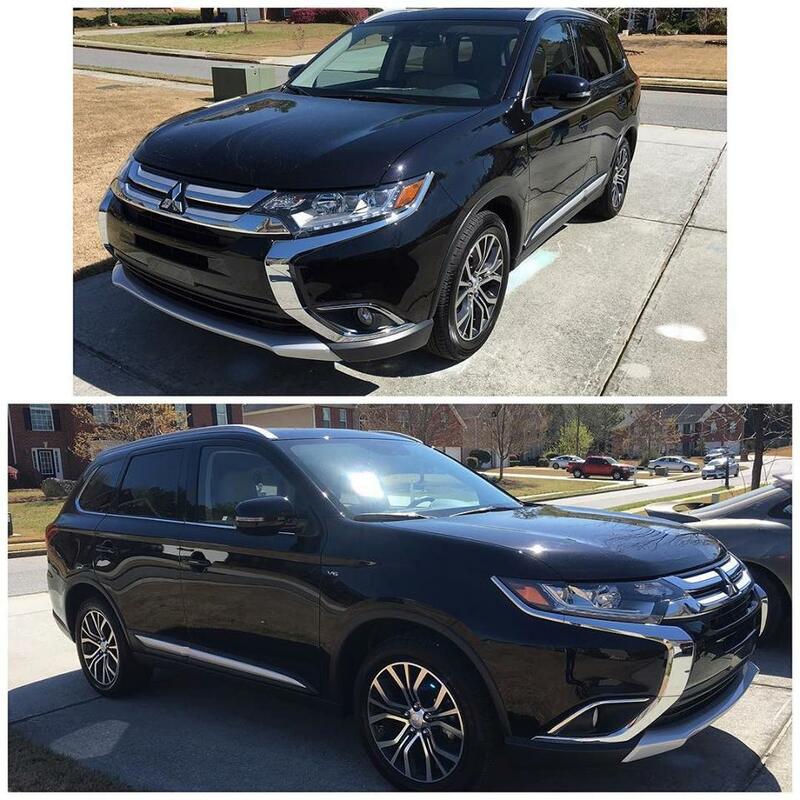 Rocking my staycation was easy with the 2016 Mitsubishi Outlander GT. Thanks to DriveShop for providing me with the 2016 Mitsubishi Outlander GT, complimentary for one week to facilitate this review. All opinions expressed here are my own. 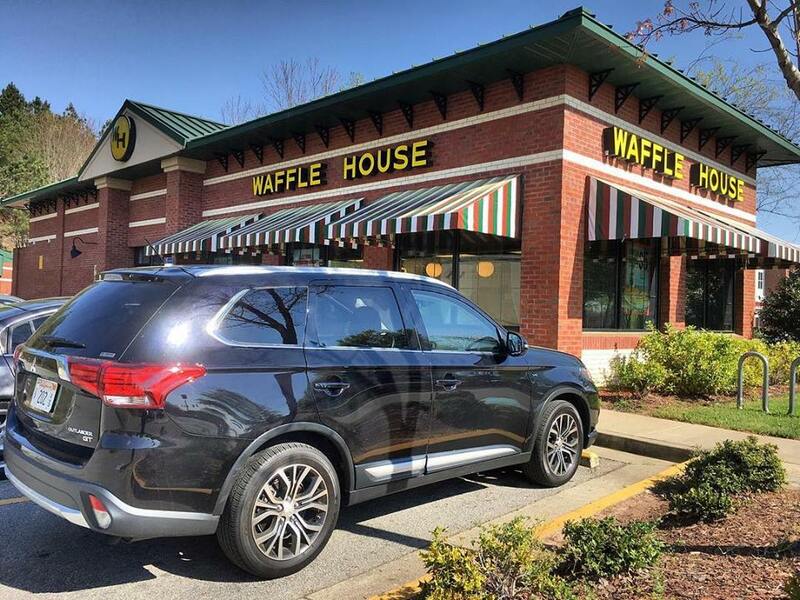 Rock a Staycation with the Mitsubishi Outlander GT and these tips! Check out Discount sites like Groupon or Goldstar for deals on local shows and attractions. Staycations are more fun with company, so grab a friend and their kids, and head on out. Best of all, if they split the gas and parking fees with you, your staycation will be that more cost-effective. The 2016 Mitsubishi Outlander GT has optional 7-passenger seating so there’s room for everyone! Fuel up before you head out. The Outlander GT has a fuel Fuel Economy of 20 mpg (city) & 27 mpg (highway). You won’t have to fill up often. Set an itinerary of where and when you’d like to visit local attractions to make the most of your time. The Outlander GT has an (optional) MMCS Navigation system with 7″ high definition touch panel, voice command, 3D mapping, point-of-interest information, real-time traffic, and Mapcare® so you’ll always know the fastest & easiest routes to get where you’re going. Check the weather and adjust accordingly. You never know with our bipolar Georgia weather – One day it’s Summer, and the very next day it’s Winter, not to mention our yellow snow aka Pollen. Thankfully, the Outlander GT has Rain-sensing windshield wipers, Front Dual-zone climate control, Heated Front Seats, and Micron Air Filtration. Have activities to keep the kids entertained and occupied, especially when stuck in traffic. Make your favorite playlists and connect your smartphone via bluetooth, listen to your favorite radio stations, or even insert a USB flash drive. The 710-watt Rockford-Fosgate® premium sound system will offer the perfect background for your lip sync battles. Stock up on snacks and beverages for in between meals. The Outlander GT has multiple storage areas and cup holders to hold everything you need. The 2016 Mitsubishi Outlander GT is the perfect choice for your staycation. It has great safety features like Adaptive Cruise Control, Forward Collision Mitigation, and Lane Departure Warning. Also, it has been named an Insurance Institute for Highway Safety’s “Top Safety Pick +”, the highest possible safety achievement designated by the non-profit vehicle research organization. Do you have any Staycation tips you’d like to share? Love this car! We are enjoying one right now and it is such a great SUV. Lots of room and has lots of little perks! YES YES YES!!!! . We travel to Miami/Orlando often. And keeping the kids occupied is very important. I just travelled with my friend to Kentucky last weekend to drop her kids of to the grans! Driving in the day can be super hectic! Our family tends to leave early in the morning when heading to Florida. We will leave around 2. After waking up from an early bedtime/nap. And hit the road for 7-12 hours depending on where in florida we are headed too. Its perfect because the kids go back to sleep and wake up at around 9 am. So we may stop off at some friends in orlando and then head to Miami. I like to keep books and writing pads. But my son gets car sick very easily so I also prefer a portable dvd player that can be attached to the headrest. Fuel up is right! I like to fuel up at Costco and keep it moving…hopefully locating another Costco along the way. (They’re gas prices are always cheaper). Thanks for the advice!!! Happy travels! I love Mitsubishi cars. The Outlander is one of my favorites. Though, I haven’t driven this one yet. It looks beautiful. I like how roomy it is, and full of style. How fun. I love road trips, and now I’m motivated to do a ‘staycation’ road trip. I live in Toronto so maybe I’d go to Niagara Falls. It’s really touristy but still so impressive in its natural beauty. Now all I need is a Mitsubishi Outlander! I love to do staycation with my husband!! We are so blessed to live in the northwest and close to the midwest with so many places to visit! This look slike the perfect car to travel in and see everything with. We are in the market for a new car! to be honest, I don’t anything about cars! Obviously my husband does but he is very partial to certain companies/styles. He’s never mentioned looking at a Mitsubishi…but this one looks like a great car! Great tips. WE are taking a few staycations here in Colorado this summer too That car looks so nice for a family. Our family also likes hunting for deals and discounts online. Staycations are fun especially when it’s near the cinemas, shopping malls, and other entertainment areas. Having a reliable vehicle is most ideal. We also look for recommended restaurants that are nearby.